I went to a meeting at the Central Library today and hoped I would see a dog then but I didn’t, so I went to the usual park when I got back to Bolton. 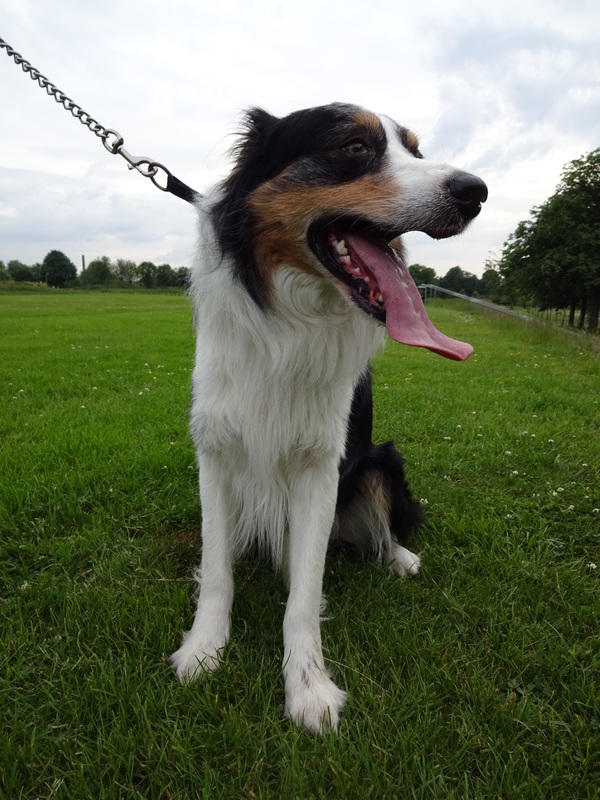 As soon as I got there I saw a very nice looking Border Collie; Patch has a very friendly face and a very big smile! Favourite pastime: Walking and running about!